Banks that aim to win in the digital economy will need to master the digital technologies in creating new, winning business models. It requires a strong strategy to deliver relevant data in real-time to the various service layers that connect ecosystem players. Today, wholesale digitalization a significant feature for the banking landscape. 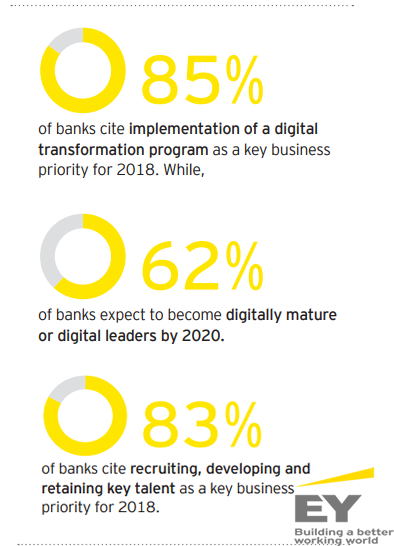 However, banks should seriously consider a variety of alternatives, ranging from whether they are able to launch a green field digital bank to which they can migrate customers over time to re-platforming to revitalizing the core. 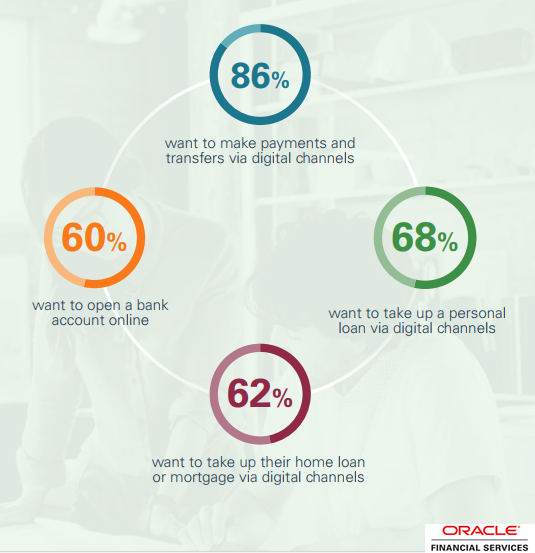 Implementing of digital transformation program is the main priority for the banking business with a rate of 85%. Recruiting, developing and retaining is the second priority for banking business in 2018 with a rate of 83%. Expectations of becoming digital leaders come at next with a rate of 62%. 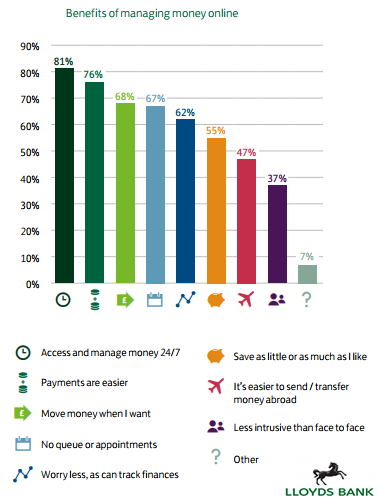 A Graph Shows The Main Priorities of Banking Business in 2018. EY is a global leader in assurance, tax, transaction and advisory services. The insights and quality services they deliver is helping in building trust and confidence in the capital markets and in economies the world over. EY refers to the global organization and may refer to one or more of the member firms of Ernst & Young Global Limited, each of which is a separate legal entity. Ernst & Young Global Limited, a UK company limited by guarantee.